This year, our annual Spring Social happened to align with Service Design Day and we wanted to find a fun and interactive way to celebrate. After fuelling up on cake, we headed to the Art Gallery of Ontario to take part in a workshop to co-create a futuristic utopian landscape. 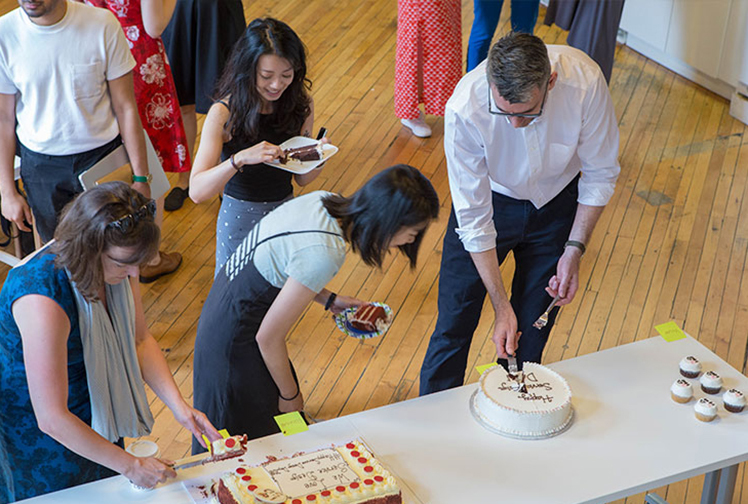 Every June 1st, the Service Design Network celebrates Service Design Day — a world-wide event bringing together people from different backgrounds and disciplines to share and experience the power of service design. The theme for 2018 was “Borderless” — a way to reflect on all things open, interdisciplinary, and collaborative. After a brief introduction and some inspiration from the Futurist movement, we broke into groups of four and began planning our cityscape. 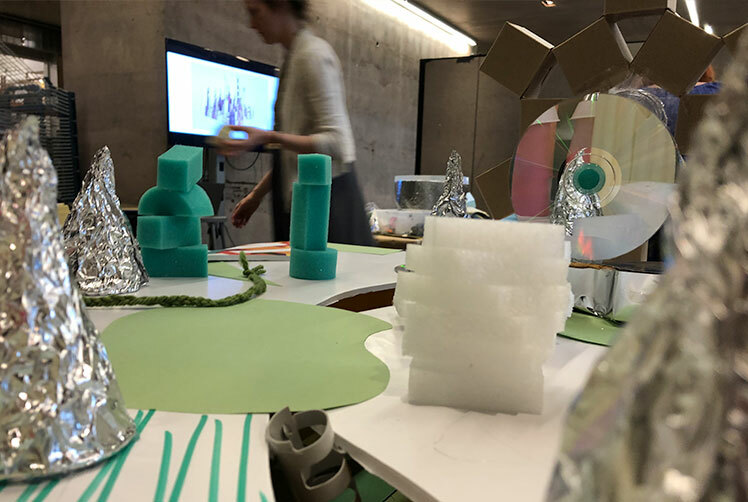 We were given a variety of recyclable materials to work with—everything from foam core and pipe cleaners to old CDs—and set about designing and building our cities. Part of our challenge was to incorporate “more human experiences” into our alternative utopias. One hour and several hot glue gun incidents later, we had the opportunity to check out what the other teams had built and vote for our favourites. We explored the rationale behind each city and what each team had chosen as their “more human” experience. Some of these experiences ranged from cities that would run entirely on renewable energy, to one that incorporated a futuristic discotheque complete with light-up dance floor (because even utopian societies need to let their hair down sometimes!). Service Design Day is a fantastic way to highlight all of the awesome things that make the practice of Service Design unique including ideation, rapid prototyping and co-creation. This year, it was an added bonus for us to get out in the field, get inspired, exercise our creativity, and appreciate all the great work the Bridgeable team does to deliver more human experiences every day.